"We're gonna rock around the clock tonight!" 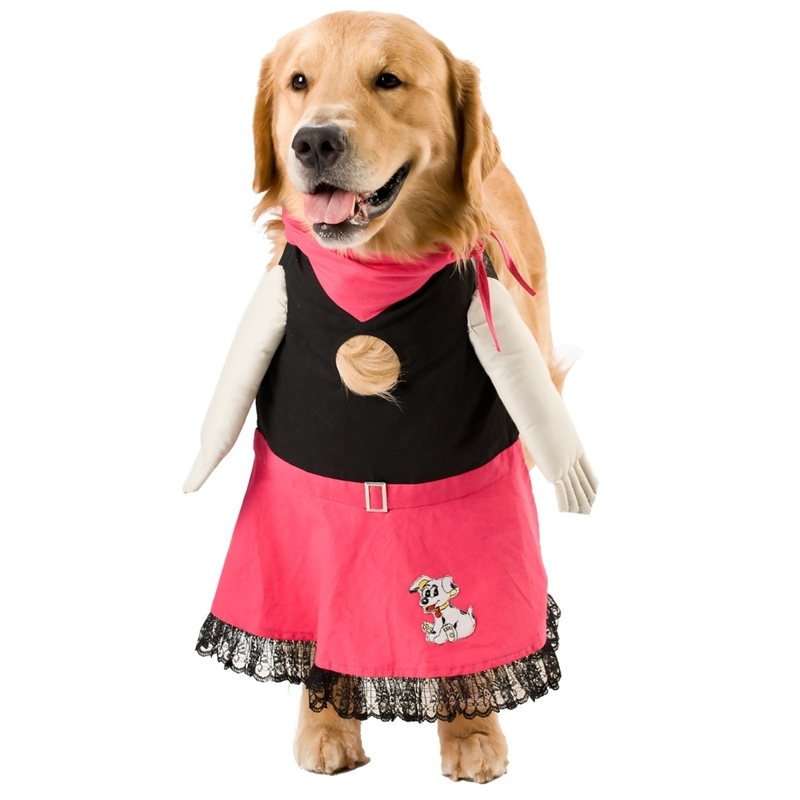 Have your pet be the life of the party when rockin to some 50's jams! 50's Girl includes Black shirt with key hole, pink bandana around the neck, and attached pink poodle skirt.